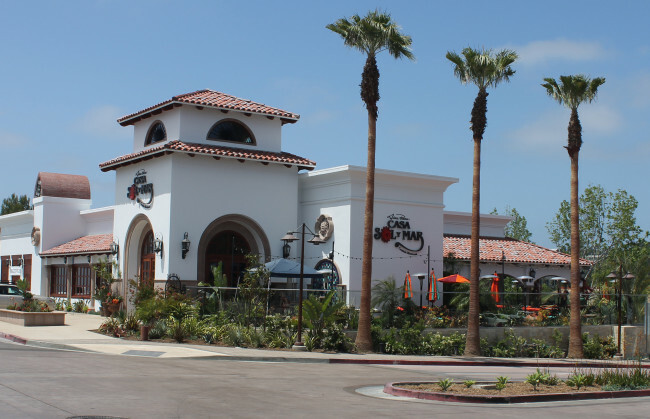 Spending an Afternoon in Del Mar Highlands Town Center is Easy to Do! It’s almost the weekend, and we’ll bet that you’ve got a ton of errands to run. With Del Mar Highlands Town Center being home to dozens of shops and services, it’s a convenient location to get several things crossed off your list at once. With proper planning, you can be in and out in an hour or two and still have time for a little fun! First, drop off your items that need to be dry cleaned at Odgen’s Cleaners and those shoes that need a little mending at Anthony’s Shoe Repair. Then head down and check out movie times. That new action flick would be perfect for date night tonight! You’re desperately in need of some new jeans, so you’ll have to try on a few pairs at a few different stores to get the best fit. Might as well try on some tops while you’re at it, right? Once your new outfit(s) is complete, grab a new accessory for Fido at Unleashed by Petco. Go freshen up your toes with a pedicure or take a few moments to relax with a well-deserved massage. You’ve been busy today! Now that you’ve worked up an appetite, it’s time to meet up with your special someone for an early dinner at Casa Sol y Mar. With a satisfying selection of appetizers and entrées, we’re sure to have the right flavors to fit your mood. Enjoy your favorite dish with our famous birdbath margarita as you relish in the San Diego sun on our beautiful outdoor patio. After finishing up with that fried ice cream you’ve been craving all week, its movie time! It’s been a fun and productive day at Del Mar Highlands Town Center. With so many things to do, Casa Sol y Mar is proud to call Del Mar’s favorite shopping mall home. We hope to see you again soon!